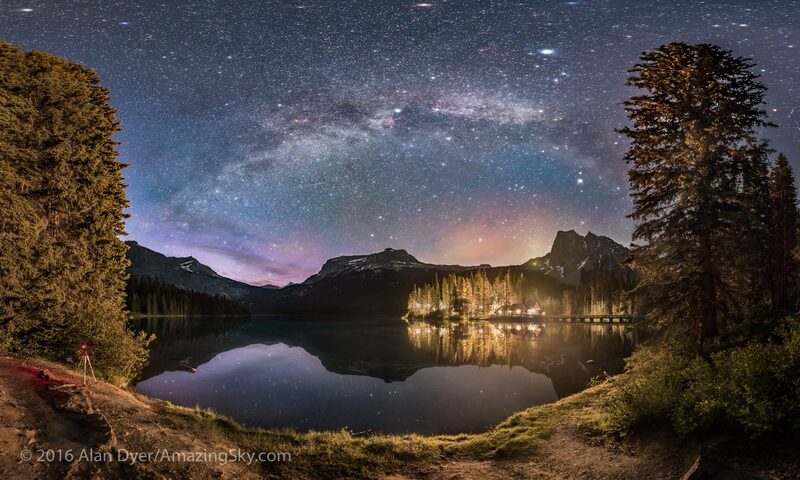 The show has been underway for a while but this past weekend anyone with clear skies couldn’t help but notice some beautiful sights in the evening sky. They herald the start of a wonderful late winter and spring of evening celestial scenes. Tonight, after a snowy weekend that brought winter back to Alberta, skies cleared enough to reveal the waxing crescent Moon next to Jupiter, with both above brilliant Venus. Over the next two weeks watch as Venus and Jupiter converge for a mutual conjunction March 12 to 13. Then on March 25 we’ll see the Moon next to Jupiter and the near Venus the following night, just a month from now. For the next two weeks we also have Mercury at its best low in the western evening sky and Mars rising in the east at sunset as it reaches its closest point to Earth in two years. It’s a great planetary spring. 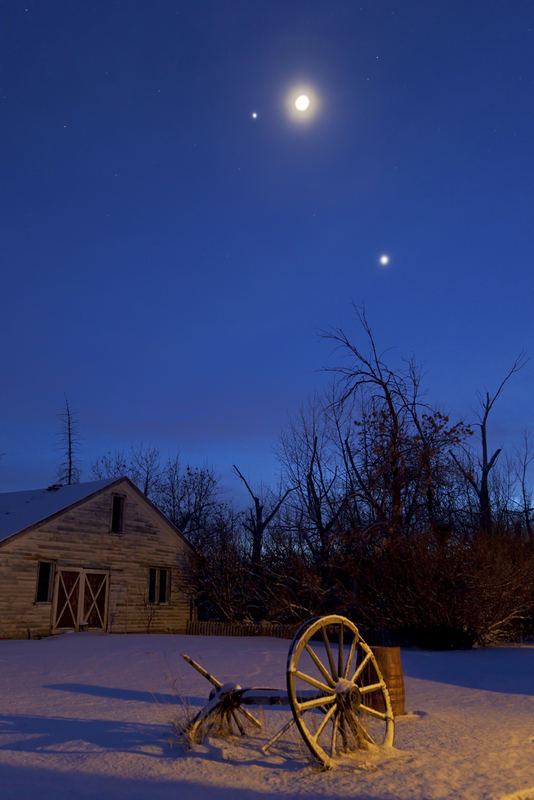 Love this planetary spring on the prairies photo – nice!